Appreciate the historical development of operations management and the milestone achievements that have been achieved and carried forward through more than a century. Revisit the significant timelines in which different systems of organizing production strategies, processes, mobilization of supplies and planning of workforce activities were introduced along with the changing times. Operation-based strategies are rooted in the capabilities of its workforce and production processes; hence it is but fitting that full attention in its management is given emphasis. What happens if top company executives merely defend their financial and marketing strategies and simply lash out directives to their operations managers to cut down on costs? Comprehend that slashing down about 60 to 80 percent of a company’s operating expenses is no mean feat, because these metrics directly impact product quality and the subsequent results of the company’s business performance. Ponder the rationality of scientific principles and how they apply to the present business conditions. Would most American companies have seen better times, had they adhered to scientifically based disciplines? 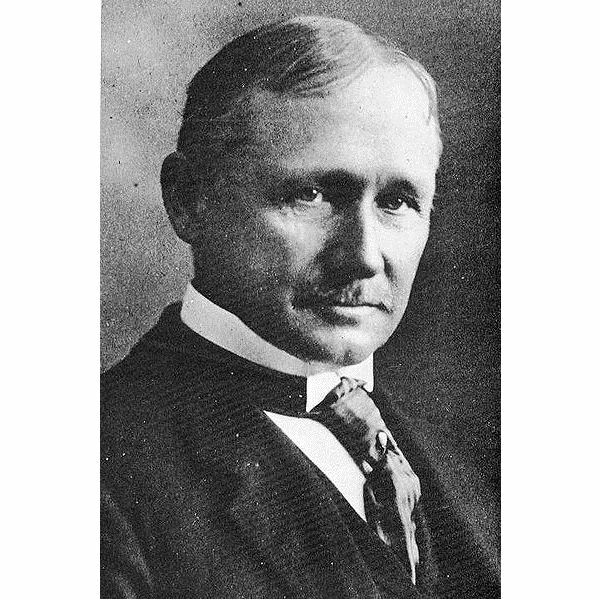 The Principles of Scientific Management was authored by Frederick Winslow Taylor, which later earned him the title "Father of Scientific Management." As early as the 1900s, F.W. Taylor observed that the Earth’s natural resources were diminishing because of mankind’s ill-directed activities and methodologies. Accordingly, the only remedy to this worsening condition was to approach all human activities by way of systematic management. Maximum Prosperity – That which upholds the interests of workers, in which their efforts to generate output are well compensated. As a result, the business prospers and the profits reaped should be distributed not only in the form of dividends to its investors but also as higher wages for the employees. Optimized Productivity – Scientific management delves into the concept that the worker’s efforts are greatly wasted by “rule-of-thumb-methods," which mean there are no standards for accuracy and efficiency but merely rough estimates learned from practical experience. Taylor asserted that jobs can be simplified by following a set of standards and procedural guidelines, which allows even the most unskilled worker to perform a particular task with minimal training. This stands opposed to the concept of artisan skills that were developed through years of practice. (1) Implementing work methods based on scientific studies of the work performed, which includes conducting time studies. (2) Applying scientific methods in selecting, training and developing workers rather than relying on their self-taught artisan skills. (3) Motivating the employees to adopt scientific methods toward higher productivity that will equate to higher compensatory rewards. (4) Applying the principle of teamwork between managers and workers, in which the former develops strategic plans while the latter performs work based on the strategic plans. This system was actually ancient in context, and was seen in medieval European mining sites in the form of “bucket elevators." It was later revived and embraced by some manufacturers to support continuous production. Up until the 1870s, each worker stayed stationary to a specific post, assigned to perform a specific task. However, it was not widely used, since the practice of gradually putting together a product was not as efficient and as productive if the entire product was handled by a skilled artisan. In 1913, Henry Ford restructured his factory’s assembly line until he was able cut down the total time it took to assemble the Model T automobiles. From a total of 12.5 labor hours, production time was reduced to 93 minutes. The reduction in labor costs made it possible for Ford to lower the price of his Model Ts. Nonetheless, the success of Henry Ford's system was not long term, inasmuch as continuous production and uniform quality also meant continuance of errors resulting in greater product defects. It was also in 1913 that self-taught engineer Ford Whitman Harris introduced the concept of “economic lot size." This approach was aimed at reducing the cost of producing goods by purchasing in greater quantities, which equated to lower unit costs. 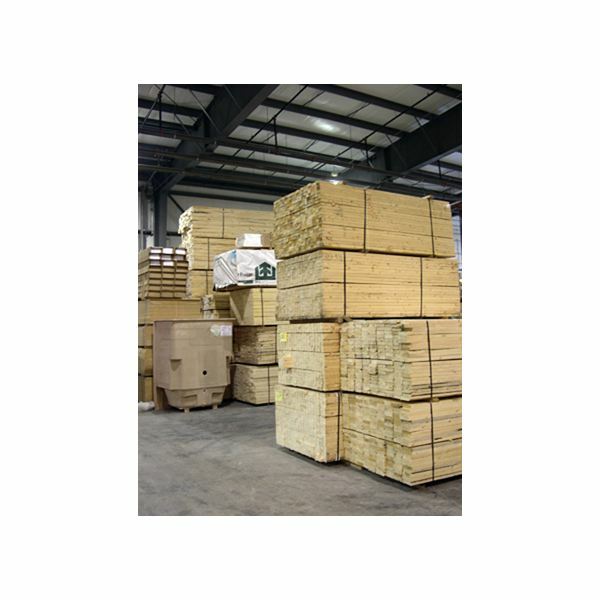 The principle is applicable not only in terms of materials but also to other related costs such as storage, handling, insurance and the like. At that time, however, Harris’ papers did not receive much attention but was rediscovered only in 1988; it was given a new title as Economic Order Quantity. Taylor’s philosophy during that era was not widely received and was regarded as controversial. It was introduced at a time when labor conditions in America’s history were still in a state of turmoil. During that period, minimum wage laws were yet unheard of while migrant workers and children were being exploited. In 1915, Frederick W. Taylor passed away, but his close supporters, who were mostly consultants, continued to carry out his scientific management principles. They introduced these management disciplines to at least 181 U.S. manufacturing companies. Most of the executives who were attracted into adopting Taylor’s methods were in favor of his ideals about creating social harmony and improving the workers’ conditions. In the same year, applied psychology had gained enough grounds to warrant the institution of the first graduate school for industrial psychology at the Carnegie Institute of Technology. The industrial sector came to recognize the rationale behind Taylor’s scientific management principles, for which in-depth learning of industrial psychology became necessary. This was in order to address the problems often encountered in the process of selecting and assigning new recruits. By 1920 and onwards, scientific management became the symbol of modern operations management, which employed systematic planning, functional trainings and skills specialization combined with a self-conscious style of management that was focused on improving working relationships between managers and the workforce. Walter Shewhart, then an engineer at Bell Telephone Laboratories, developed a quality control chart. It was formally introduced in 1931 through the publication of Shewhart’s paper entitled “Economic Control of Quality of Manufactured Products". Quality control as a manufacturing discipline is aimed at preventing defects during the production stage. Its approach made use of statistical analysis for different activities. Thereafter, several other mathematicians like W. Edwards Deming and Joseph M. Juran came up with other quality control methods. Deming’s contributions gained international recognition. Support was manifested by the Japanese Union of Scientists and Engineers’ (JUSE) adoption of his statistical quality control methods. After a few years, Japan became an industrial success, which was greatly attributed to its workers' adherence to the principles of quality control combined with their inherent cultural discipline. 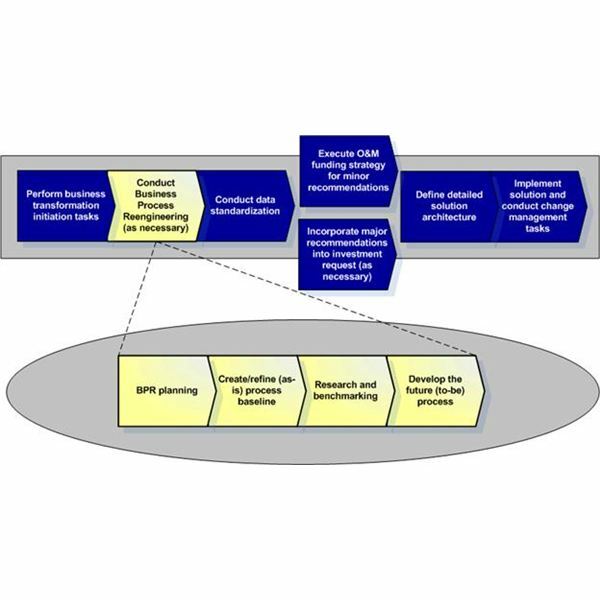 Japanese manufacturers added a new facet to operations management. This was to achieve cost reduction by minimizing, if not eliminating, the errors that translated into unnecessary waste. As management became more aware of the values presented through statistical analysis, other disciplines introduced during the era included “activity sampling for work analysis" and “Hawthorne’s studies of worker motivation." 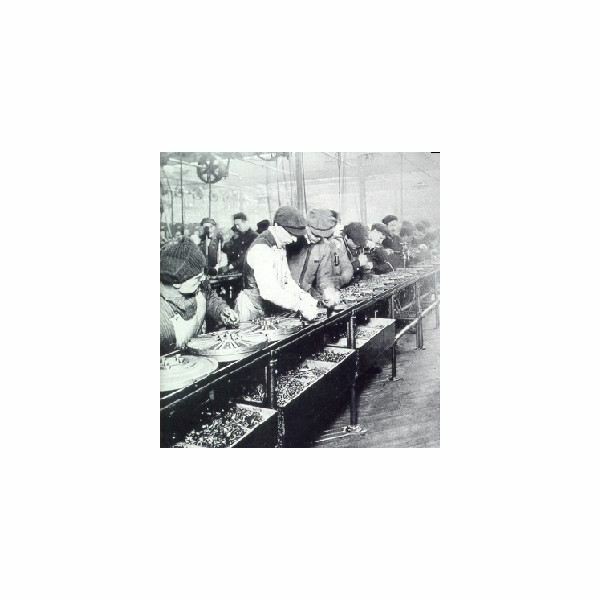 In America, however, employment of quality control discipline was not widely received by most manufacturing companies. Appreciation came a few decades later, when it became evident that a great majority of Japanese products had created an edge in terms of quality at affordable prices. Quality control activities became customary in the 1940s, particularly for the post-World War II rebuilding initiatives. Many of the complex problems revealed through analysis brought about the concept of organizing a group of multi-functional professionals. 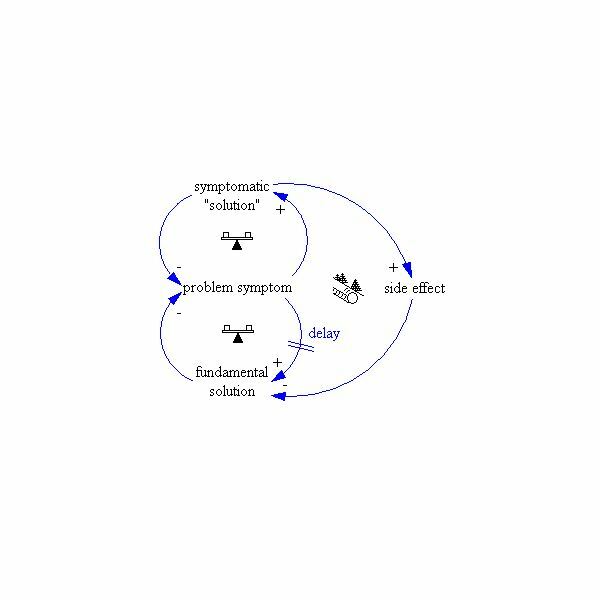 Problems in production as they were later analyzed were often interdependent; hence, formulating effective solutions required a balanced treatment of the underlying root causes viewed on several perspectives. 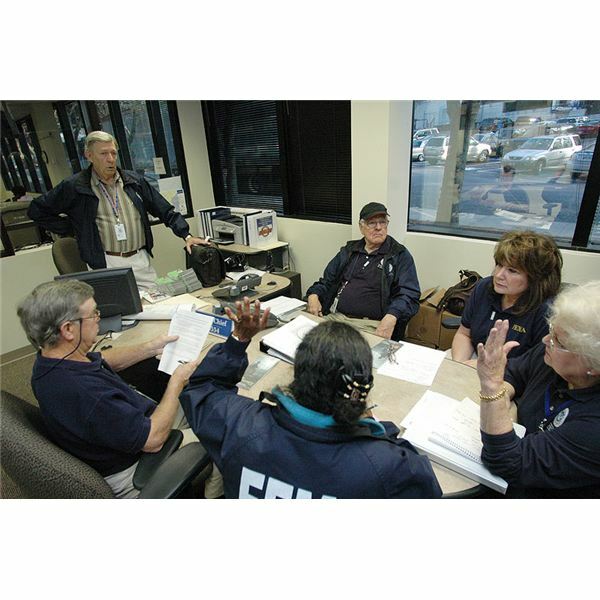 A team comprising members with varying but complimentary skills, qualifications, and experience was needed in order to achieve a specific goal. Operations Research – This engineering discipline makes practical use of mathematical models and scientific information as a means to solve an actual problem. Data are gathered by way of observations, analytical perception, and anticipation of a mechanized system’s inherent problems. Operations research became an important tool for the multidisciplinary team since varying expertise broached different knowledge in the fields of science, e.g. mathematics, statistics, physics, psychology and other scientific learning. It was important to have cohesion and coordination of data provided for developing tactical strategies. Since this approach was ordinarily used for military operations, the Ford Motor Company took under its wings a group of former Air Force analysts. The effectiveness of their methodologies paved the way for the recognition of operations research as an important tool for planning. Although not a resounding success, operations research received much attention during the mid-1950s for its comparative feats in industrial engineering. There were enough bases to support a move for integrating the concept of operations research in academic course works. By 1960, it became a full-fledged curriculum in industrial engineering and, later, industrial management. 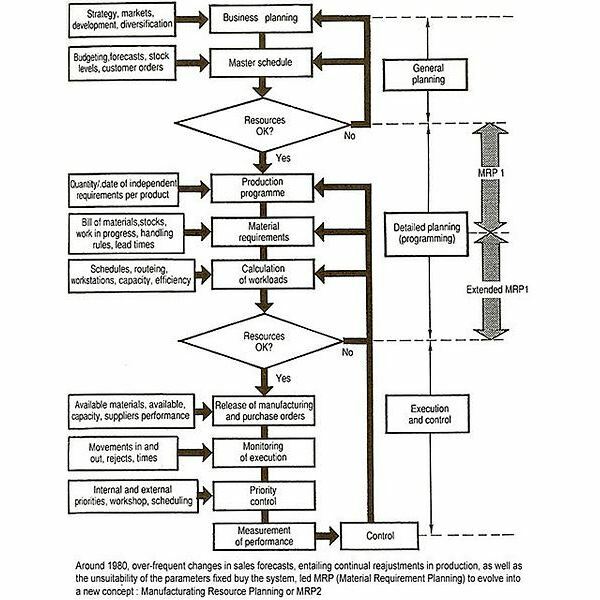 Please proceed to page 2 for more on the historical development of operations management. Inasmuch as manufacturing operations has always dealt heavily with the use of materials, designing a system for ordering, scheduling and stocking became essential aspects of planning, It was important that raw materials were supplied in a timely manner, yet it was equally vital that related inventories, including unfinished goods, were kept at advantageous levels. Although the concept was already introduced during the 1950s, the '70s saw the beginnings of its popularity along with the advent of computerized systems. The latter made it possible for manufacturing companies to employ a more accurate system of monitoring materials inventories. Joseph Orlicky and Oliver Wight came up with MRP innovations while working as engineers on IBM’s computer manufacturing venture. This was a time when a computer was a huge box-like apparatus and was called Random Access Method of Accounting and Control (RAMAC). 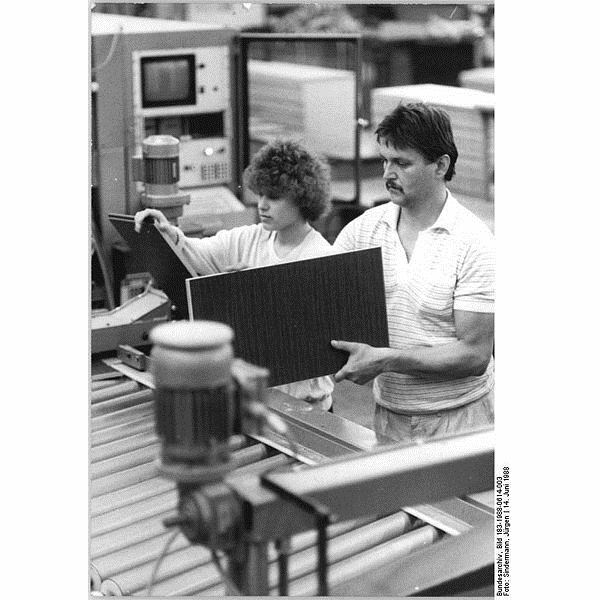 Nevertheless, MRP systems solved the problems of many American factories that were beset with overstocking problems. Said problems were mostly the result of misconceptions about the “economic-lot-size" philosophy introduced in the early years of scientific developments of operations management. Through the years, planning strategies were introduced and had successfully addressed the most common ills of manufacturing concerns. They provided an overall system of organizing a highly motivated workforce, raising quality control awareness, and logical planning methods for purchasing raw materials. However, waste was an important issue that was still unresolved, and the answers were gleaned through the study of Japanese industrial companies' achievements, particularly the Toyota Industries. Manufacturing managers came to learn the “Kanban" or “Just-in-Time" and Poka–Yoke techniques as well as the principles of Total Quality Management. They all fell under the principles of “lean manufacturing." This time, the focus for improvement was aimed at eliminating waste to attain 100% percent customer satisfaction. 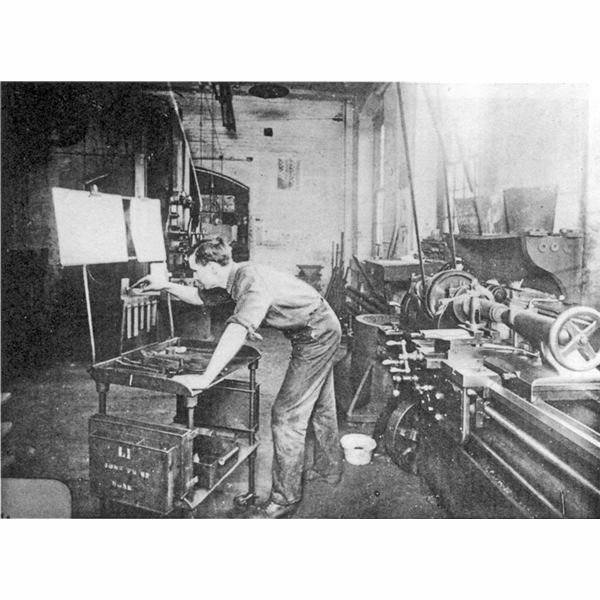 Hence, almost every American manufacturing firm came to adopt varying lean manufacturing techniques that were suitable to their business operations. However, automation was also on its way to becoming an all important business tool but many were of the misconception that automation and lean manufacturing did not complement each other. Technological advancements like CAD (computer-aided design)and CAM ( computer-aided machineries ) had taken off slowly. Despite the adoption of lean thinking as a guiding tenet for manufacturing operations, many of the American industrial players still found it difficult to compete. The ability of the Japanese manufacturers to offer quality products at remarkably affordable costs was quite difficult to counter. 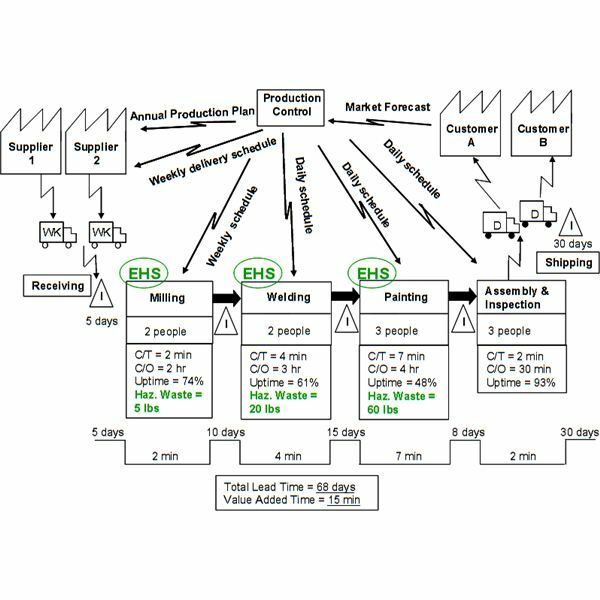 Six-Sigma became an important addition to the methodologies introduced for business process improvements. The federal government came up with an incentive program known as the “Malcolm Baldridge Award" in order to spur American companies into producing globally competitive products. Most American companies were still behind in automating their processes, since automation required considerable investments. A lot of companies were being controlled by senior executives who took care of the company’s finances but unfortunately directed their efforts and attention toward different concerns. Despite poor showings in the sale of their products, company financial statements showed that the businesses were performing fairly well. Thus, there was not enough interest in pursuing process improvements. For the company’s top echelon, it was sufficient that investors were assured of their financial interests and that they could expect to gain yields at high rates of returns. The turn of the new millennium was the starting point at which insurmountable problems came to beset many manufacturing companies. The disciplines and principles learned from almost a century of events and developments were not enough to address the root causes of the problems. The advent of advancements in computer technology made information more accessible. The World Wide Web and the Internet made it possible for countries to trade and compete globally. This created more pressure for companies to step up their computerization initiatives if they wanted to join the globalization fray. Unfortunately, however, America’s local human resources could not provide a workforce that met the requirements of a computerized environment. There was a shortage of computer-savvy applicants, which brought forth a recruitment strategy known as the “business process outsourcing." It provided a means for becoming globally competitive, and it denoted harnessing the skills and expertise of foreign workers. Actually the strategy presented an alternative source of technological competencies in order to keep up with the advancements or as a source of cheaper manpower costs in order to reduce a company’s operating expenses. As real-time information became readily available, the iniquities of some CEOs and their cohorts were revealed involving accounting manipulations. Financial statements did not present “fair and accurate presentations" of the company’s financial resources and results of operations. Connivances from accounting firms, government officials and banking institutions made possible the perpetration of white-collar fraud on a grand scale. Frederick W. Taylor’s philosophy about maximum prosperity was not upheld by many; instead, there was unequal distribution of economic wealth which caused serious detriments. Investors lost confidence in entrusting their financial resources to publicly traded companies, and soon enough other companies were likewise affected. As the economy took a turn for the worst, mass layoffs took place. As the number of unemployed reached more than 13 million, it became evident that a major part of society did not have enough buying power. Such conditions could not fully support the equally numerous businesses that have always relied on consumers’ continued patronage. There are new lessons being learned; not from new disciplines in scientific operations management, but from the mistakes of the past. Human Resource Strategic Planning – This further explores one of the principles of scientific operations management–that of selecting, training, and aligning the workers’ interests and competencies according to the company’s business goals and missions. Talent Management – This emphasizes the concept of keeping employees happy, not only in terms of compensation but also by providing better working conditions, known as the work-life balance concept. Consumer Relationship Management – This entails the use of different tools to know the consumers better, including their needs and the value they are looking for in the products being manufactured. Corporate Social Responsibilities – These responsibilities mean operating a business that brings benefits to its shareholders without degrading, depleting, defiling or destroying the environment or worsening the effects of carbon dioxide and other volatile organic compounds. They also embrace the concept of creating values not only in terms of financial, material or physical benefits but also encroaching on the promotion of positive moral values in order to build a better society. Business Ethics – Upholding ethical standards in every business decision means taking full responsibility for the consequences of deliberately misleading the public in order to reap financial gains. Cloud Computing – Advancements in technology provide solutions to the inability of companies to invest heavily in computer technologies by interacting globally under a network of servers and at the same time lessening the demand for energy use. Green Initiatives – This refers to the concept of using only those materials and equipment that will not aggravate the already impaired environment and its surrounding conditions. Is it Really Possible for a Business Organization to Achieve Long-Term Goals? Some companies have adhered to all the positive changes and developments of operations management as they have transpired through several decades. Today, they still exist and continue to operate profitably despite going through several events of economic crises. These companies include General Electric (1892), Johnson and Johnson (1886) and Procter and Gamble (1837); their ability to meet the challenges up to this date has been the most notable. They are the living manifestations of balance in corporate governance over marketing, financial and operational activities in a business organization.